The Freud Diablo DHS3500 3-1/2 in. x 2-3/8 in. Bi-Metal Hole Saw is one of Diablo's new, high-performance hole saws that deliver faster cutting performance and increased productivity. 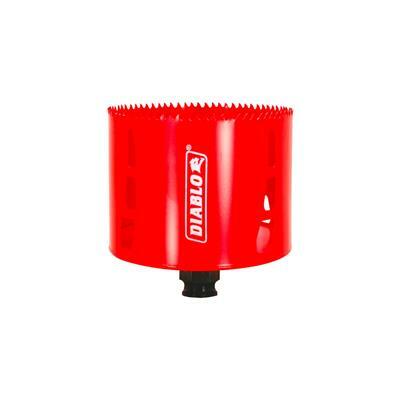 Unlike anything on the market; Diablo's hole saw system and mandrel design simplify the attachment process for a fast and efficient hole saw mounting. These radical new hole saws provide ultimate cutting length to bore deeper holes in a single pass; tool-free plug ejection and Variable Tooth Design for faster cuts.